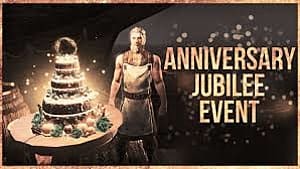 The wonderful thing about a persistent universe like the Elder Scrolls is that we've had over 20 years to become attached to its lore. Similarly, we've had over 20 years to fight its monsters, and decide for ourselves which we consider the most dangerous. 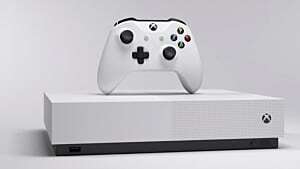 In a collection of games that allows a lot of customization of your protagonist --and exploration of a massive world -- maintaining a player connection to the lore could have been a challenge. 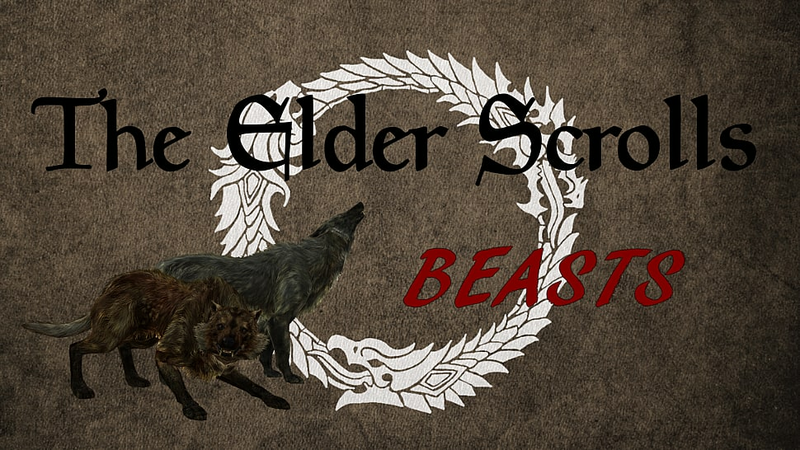 Our battles against beasts in the Elder Scrolls unite us with other players and with the series. 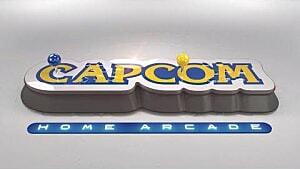 Lets take a look at the ones we search for in every new installment, or adversely, run away from. 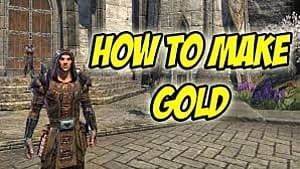 Running into a bear in an Elder Scrolls game has always complicated matters, especially with a newer character. Bears have existed in every Elder Scrolls game since Daggerfall. 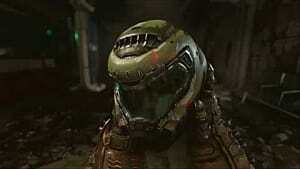 They are generally strong, fast and difficult to kill. 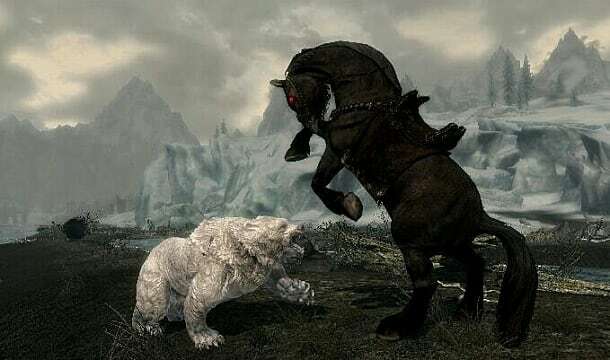 The strongest of all the bears can be found in Skyrim, which makes sense considering a bear's affection for cold weather. The strongest of all the bears in Skyrim is the snow bear. They are located in the tundra area, so you fortunately won't run into these until you're a high enough level to deal with them. 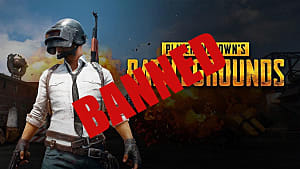 Which, honestly, does take a little of the fun out of it. 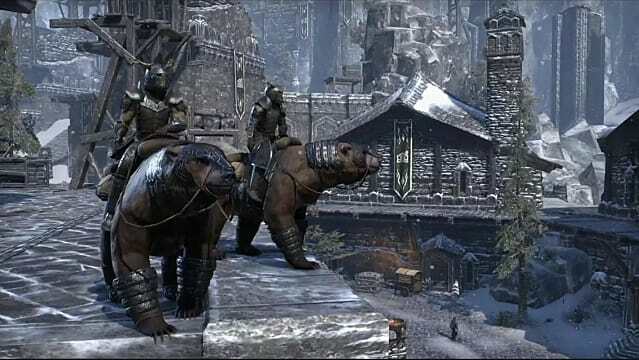 Elder Scrolls Online has even included bear mounts, for when a horse just isn't intimidating enough. A single wolf is really no big deal. The problem with wolves of the Elder Scrolls is that they always seems to have at least one friend, and sometimes many more. 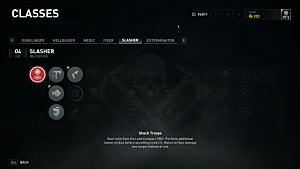 Wolves have been included in every game, though under different variations. 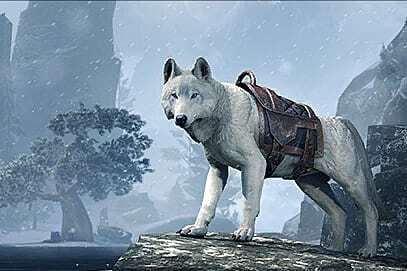 The most difficult packs to run into are the timber wolves of Oblivion or snow wolves of Skyrim. Elder Scrolls Online includes wolves to fight and wolves to ride. Don't expect to see any reins on your wolf mount, it would seem they use voice commands like sled dogs. 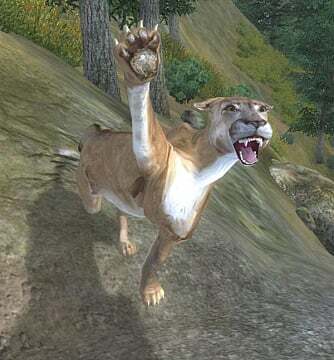 Though mountain lions exist in Elder Scrolls Online they are truly fearsome in Oblivion. You can find this dangerous predator scattered across the mountains of Cyrodiil. Be cautious, because even if you can't seem them, this creature is cable of being Invisible and ready to pounce. 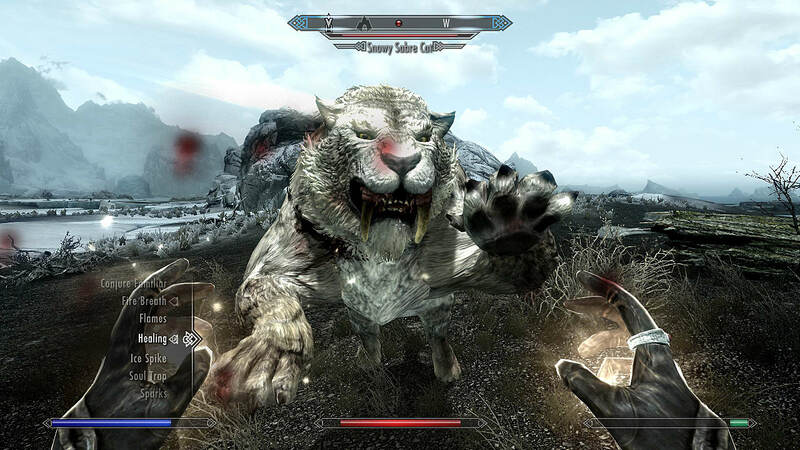 Built to withstand the harsh conditions of Skyrim, sabre cats can be a dangerous adversary. 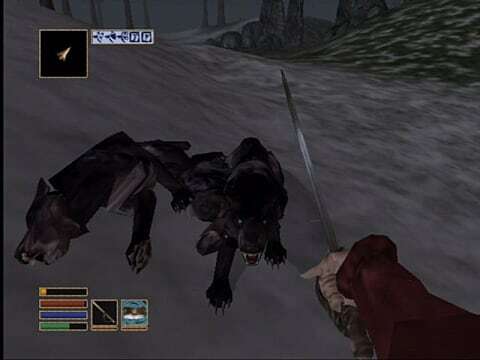 These cats made a smaller appearance in Daggerfall and are of course included in Elder Scrolls Online but they established their infamy in Skyrim. 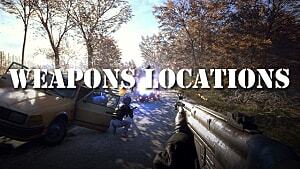 They appear even in low level areas and can cause serious damage with their rapid attacks. Typical to cats, they really blend in with their environment, making surprise attacks likely. The tundra cats come in a spotted white, while the plains cats are a deep reddish brown. Fortunately, they mostly travel alone. Possibly the most visually terrifying of the beasts found in the Elder Scrolls universe, this peaceful walrus monstrosity is best left alone. 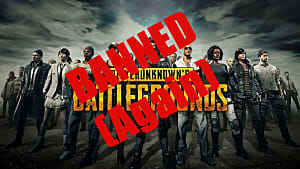 They were originally found in Bloodmoon, but also flop around Skyrim and Elder Scrolls Online. 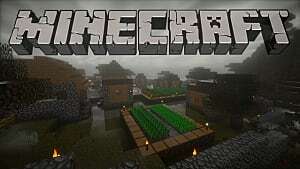 They move slowly and won't usually attack unless the player provokes them or seriously invades their space. 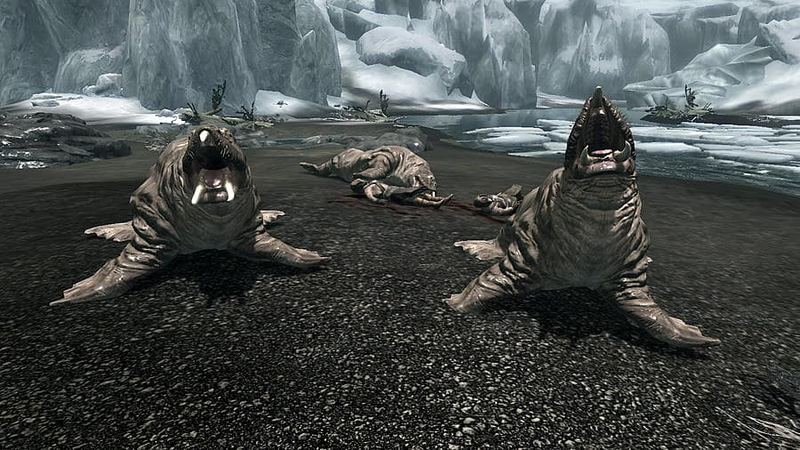 Horkers can be an issue for low-level players that accidentally stumble into a family lounging on the ice. 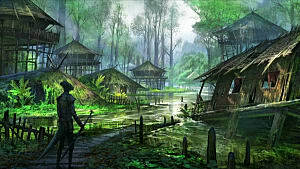 Slaughterfish have been lurking the depths of the Elder Scrolls universe since Daggerfall. Just when you think you've leveled high enough to not have to worry about death-by-slaughterfish you fall right into a pack of them. 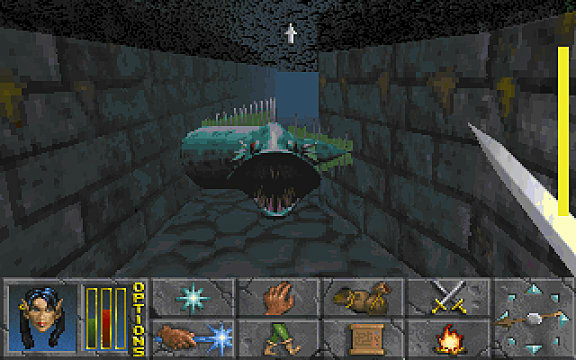 Or even worse, many of the games added more challenging slaughter fish to haunt the darkest and deepest bottoms of their caves. 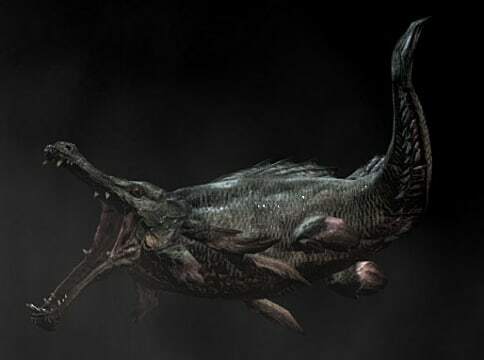 These fish are the real nightmares of the Elder Scrolls games. 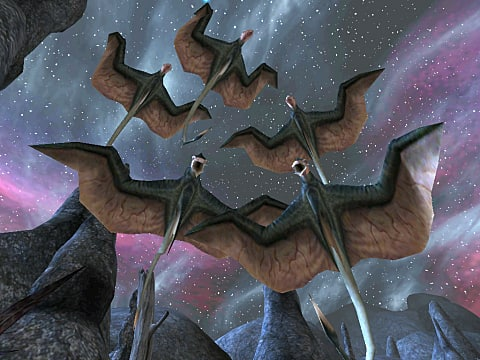 Cliff racers are aggressive and dangerous flying creatures that haunt the skies of Morrowind. They are primarily found in Vvardenfell, but are less densely collected all over the map. Swarms of cliff racers can be a serious problem, especially in high level areas. 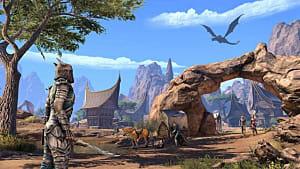 While cliff racers are only physically found in Morrowind and the Elder Scrolls Online, the frustrating beasts are fondly referenced throughout the series. Mammoths are arguably the most fearsome beasts in Skyrim, because if you're fighting a mammoth you're probably fighting a giant as well. Giants often look after these huge, shaggy animals. 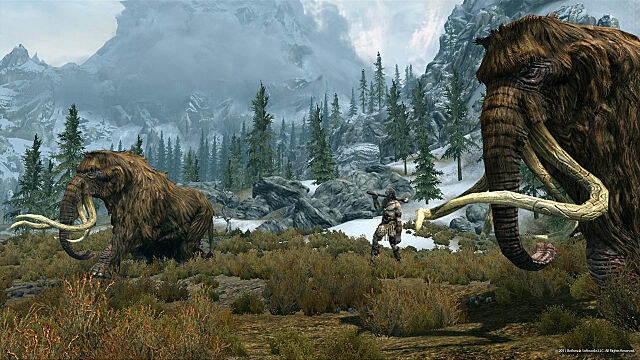 Mammoths can only be staggered with your Unrelenting Force shout (not rag dolled), cannot be paralyzed or completely frozen and do massive damage with their four tusks. If you find yourself against one, you best bet is to climb a rock or escape via river, as their large size makes it difficult to traverse anything but flat terrain. 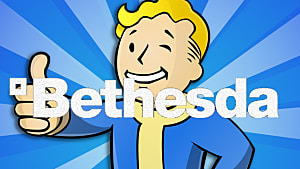 It's no secret that there are plenty of terrifying enemies in the Elder Scrolls universe. This was a collection of the most terrifying beasts, but vampyres, werewolves, wraiths and skeletons will all keep you on your toes. It's easy to see how these classics have evolved as the game has, and I can't wait to get smacked around by a bear or stalked by a mountain lion in many more Elder Scrolls installments to come.